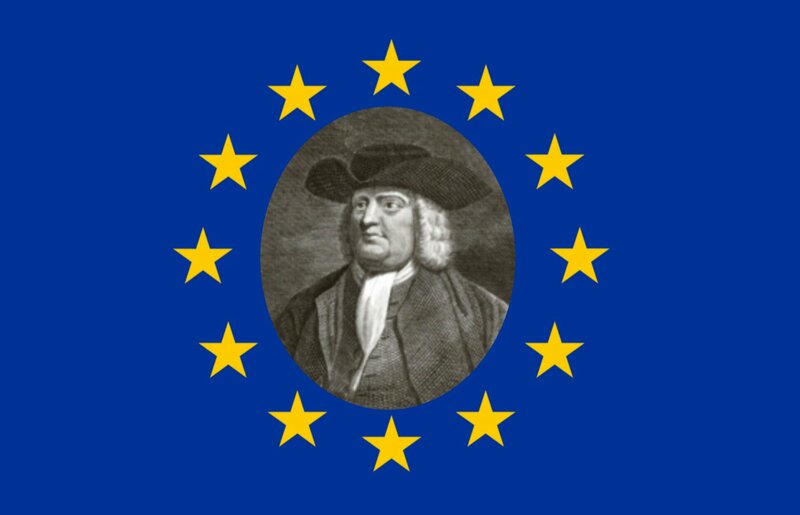 William Penn was an Englishman who, in the 17th century, advocated the creation of an European parliament as an antidote to constant war between the nations of Europe. History has proven him right so far. “An ESSAY towards the Present and Future Peace of Europe by the Establishment of an European Dyet, Parliament, or Estates (1693)”. Penn advocated European unity as an antidote to the constant state of war between major European states that he knew in his lifetime. History has proven him right: the wars continued all the way until WW II. Shortly after, the European Coal and Steel Community was set up, leading to today’s elected European Parliament and the EU. Since the start of that process of integration, there have been no wars between members of the Union. This epochal achievement was recognised in 2012 with the award of the Nobel Peace Prize to the European Union. Now, a major European nation is leaving the Union and the European Parliament for the first time. This is especially sad given that it was the success of the English parliament that inspired Penn’s proposal (note that in Penn’s time most European nations did not have their own parliaments). I very much hope that future events will not give further support to Penn’s ideas.